It's not good to be full of hot air, but full of hot coffee? Yes, please! The BUNN 2.5 liter lever action airpot is a stainless steel lined carafe with a brew-through lid compatible with many of the BUNN commercial coffee systems. 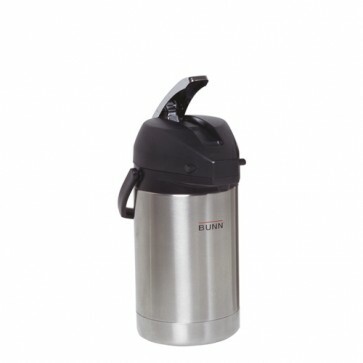 Get the versatility of additional airpots for the automatic, pour over, and coffee satellite systems by BUNN. Storage racks for 2 to 6 airpots also available, sold separately.